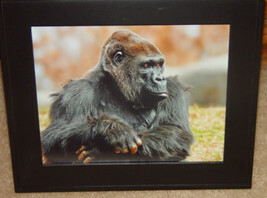 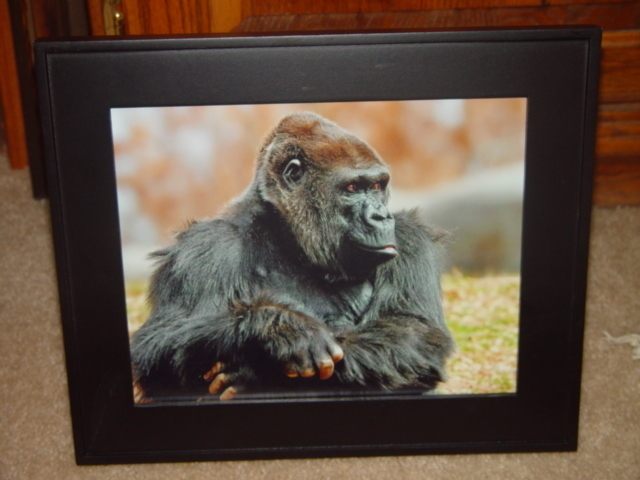 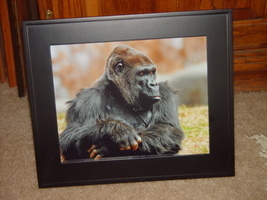 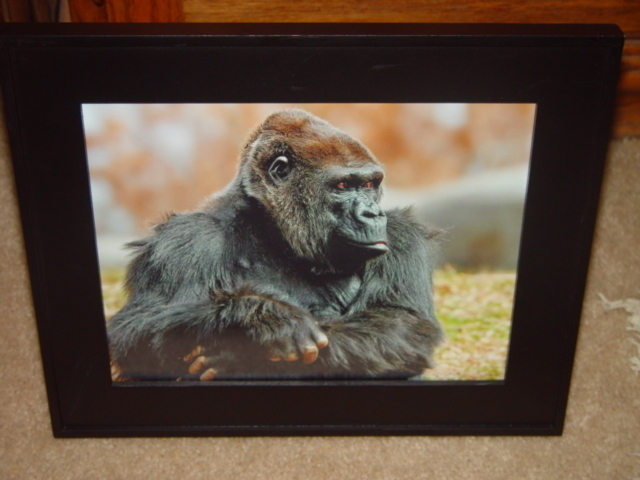 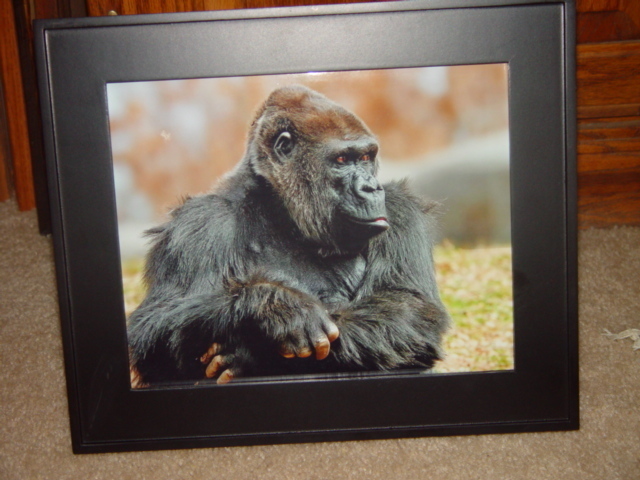 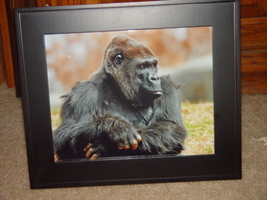 Apes- Gorilla 8x10 Photo Wal Art Black Frame photo is 8x10 - frame is about 12 3/4 x 10 3/4 picture can sit on table or hang on wall. 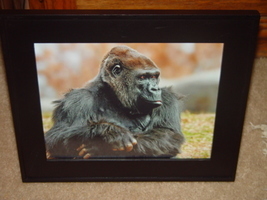 Item is new Please see all pictures. 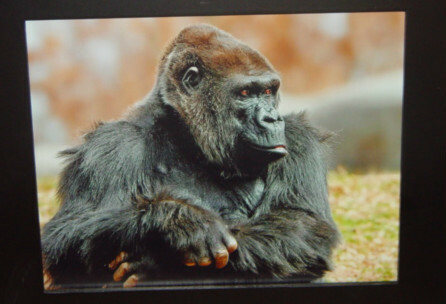 Pay with Paypal. ITEMS WILL BE SHIP UPON PAYMENT RECEIPT (1-2 BUSINESS DAYS) Shipping locations:USA If you have any questions please ask. 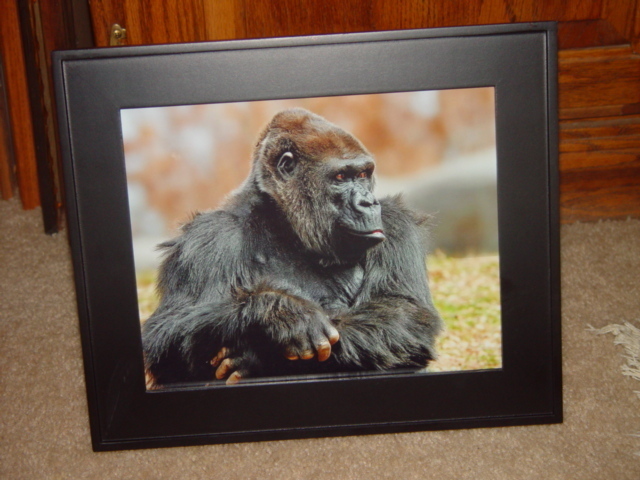 shipping will NOT be refunded.